It looks like rumors of Netflix making a secret live-action Thundercats movie were greatly exaggerated. Recently, rumors cropped up online that the upcoming Michael Bay-directed Six Underground, which stars Ryan Reynolds in the lead role, was actually a live-action take on the beloved 80s animated series. Understandably, there was a lot of excitement when this started to circulate. However, one of Reynolds' closest collaborators has stepped in to pour some cold water on the situation. Rhett Reese, who co-wrote both Deadpool movies and Life with Paul Wernick, who are also attached to the upcoming Clue remake, has worked with Ryan Reynolds a lot in recent years and they are quite close. Reese and Wernick also happened to pen the screenplay for Six Underground, so they would undoubtedly know if this Thundercats business was legit. Taking to Twitter, Reese responded in the comments section to an article reporting on the Thundercats movie rumor and with a single word, debunked the whole thing. Not a lot of grey area in there. When the screenwriter says no in plain English, it's time to abandon hope that we're getting a Bayhem filled Thundercats movie next year. It's unfortunate because this rumor didn't seem as far-fetched as it appears on the surface. Bay has been attached to a Thundercats movie for some time and, assuming Netflix could secure the rights, why not do such a thing? And keeping it a secret for as long as possible could be a marketing stunt that paid big dividends in the end. Since the streaming service doesn't rely on box office, they could realistically do such a thing, if they so choose. 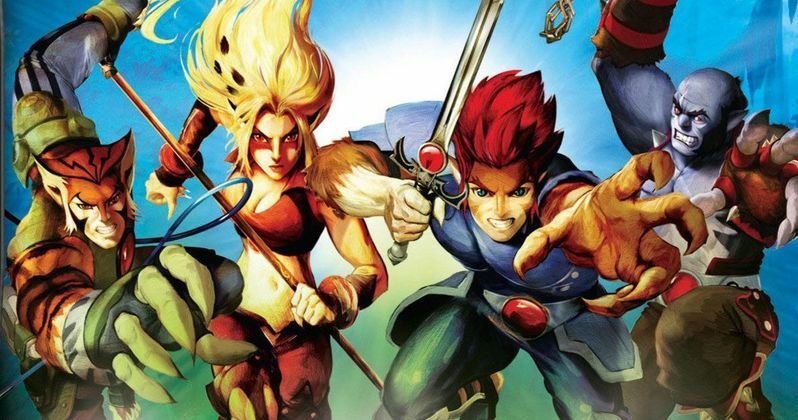 Alas, the wait to see Lion-O, Tygra and the gang in a live-action movie continues. But it's not all bad. When Michael Bay isn't working on a Transformers movie, he quite regularly delivers incredibly entertaining work. Six Underground comes from a pair of great screenwriters, has a top-notch lead in Ryan Reynolds and a solid supporting cast that includes Dave Franco, Melanie Laurent and Corey Hawkins. Plus, Netflix is ponying up some serious cash for the flick, to the tune of around $150 million, making it by far their most expensive production to date. So this could still be pretty great, if all goes well. Related: EXCLUSIVE: Tre Armstrong Shows Us How She Move! Details regarding the plot for Six Underground are currently being kept under wraps, but the movie is filming now. As for you Thundercats fans out there, you're not totally out of luck. Cartoon Network has their new series, Thundercats Roar, set to debut next year, which could help provide a good fix. And it's not as though the movie is never going to happen. It's just not happening now as some mega-budgeted secret production for the world's largest streaming service with one of Hollywood's biggest stars and a very high-profile director, as cool as something like that may have been. You can see Rhett Reese's Twitter post for yourself below. ThunderCats Movie Coming from Michael Bay, Ryan Reynolds and Netflix?